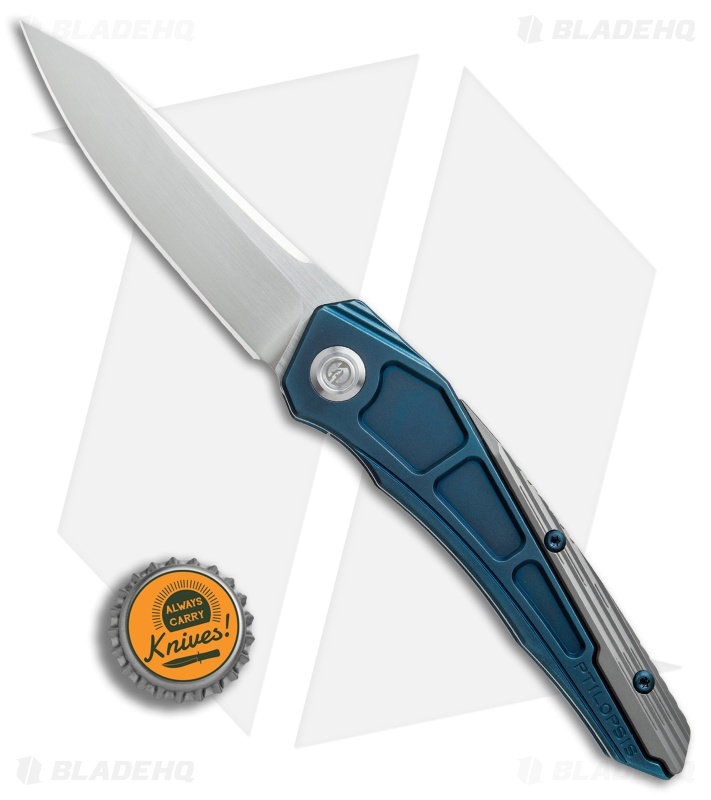 This Ptilopsis model has a blue and gray titanium handle paired with a hand satin finished clip point blade. 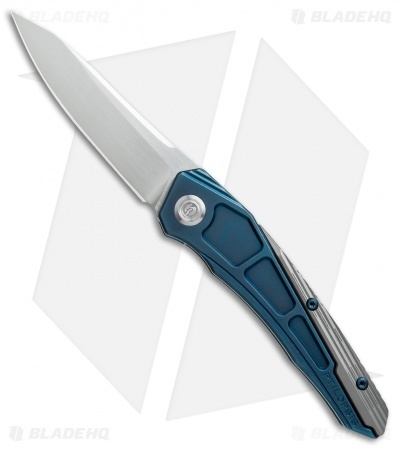 The Ptilopsis from Maxace Knives offers an impressive futuristic design in a lightweight, EDC-friendly build. Its razor sharp Bohler M390 stainless steel blade is deployed using a hidden flipper tab, and glides open on a ball-bearing pivot. 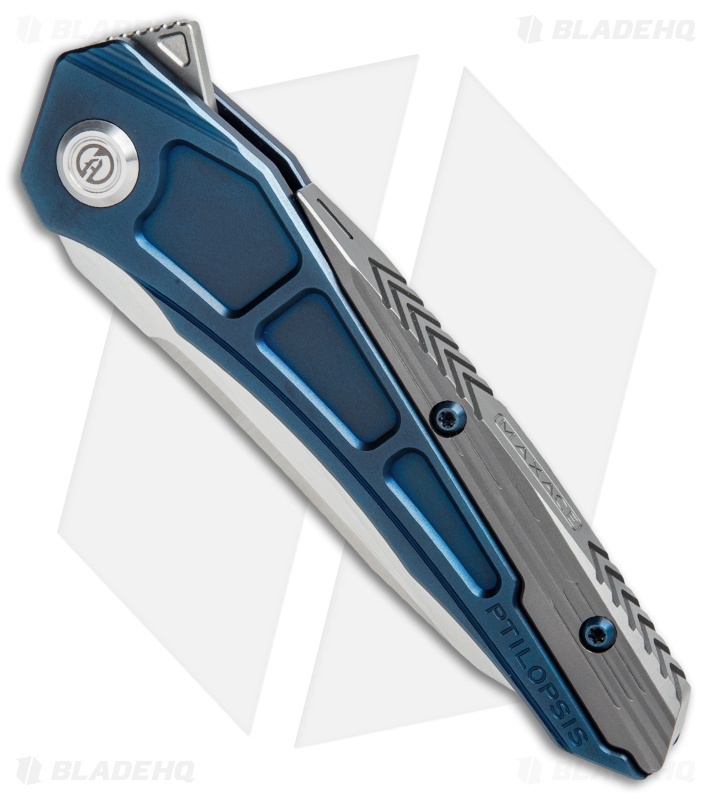 The titanium frame lock handle boasts a unique hybrid integral structure that adds to a unified aesthetic and improves overall durability. A low-profile titanium pocket clip accommodates comfortable tip-up pocket carry. 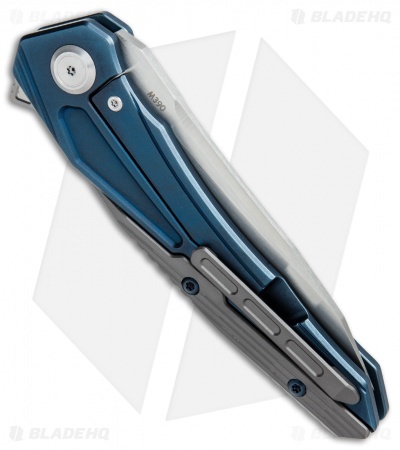 Bohler M390 blade steel provides top-tier cutting performance. Flipper tab is concealed when the knife is open. 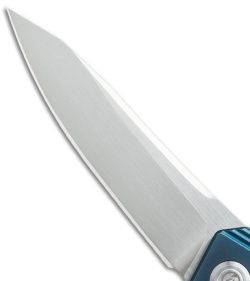 Reinforced lock bar insert offers solid blade lockup.